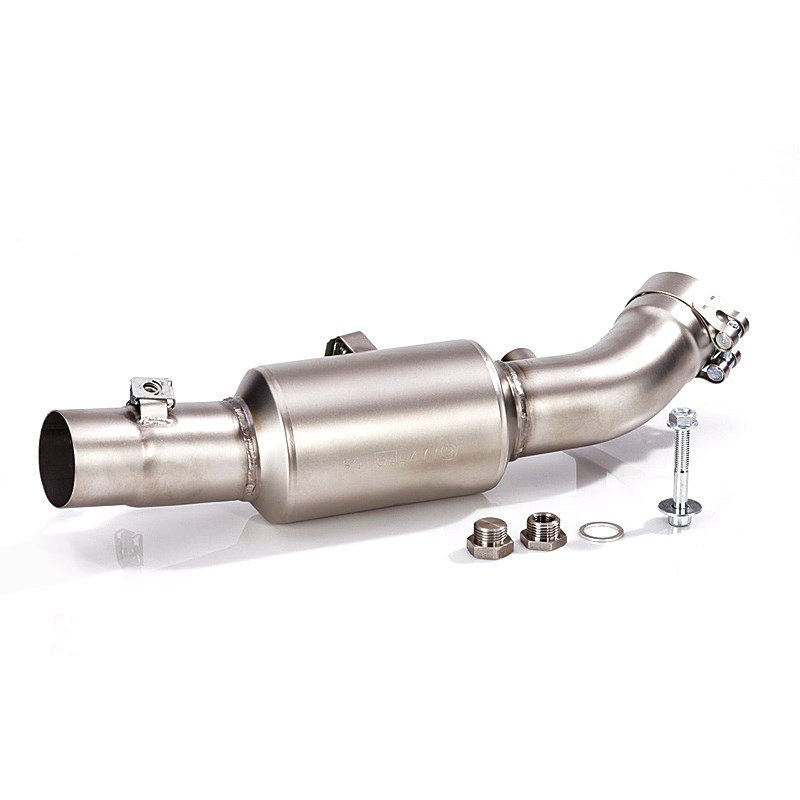 Stainless steel racing muffler link pipe with muffler. Original oxygen sensor can be fitted. With E-marking. Can only be used in combination with fuel injection tuning.